Stony Brook Southhampton / Manhattan is accepting applications for their Audio Podcast Fellows program. The application deadline is May 31, 2019. Those who are interested can apply by clicking a link on the Stony Brook Southhampton website about the program. The Audio Podcast Fellows program offers a year of advanced hands-on training to introduce students to the most current information on every aspect of audio podcast production, from storytelling and writing, to audio editing and sound, to marketing, production and distribution. Fellows will work on a variety of shows with Stony Brook Southampton’s production partners, while producing a portfolio including a podcast pilot that is ready to take to market. Admission is selective and limited to ten Fellows at each site. 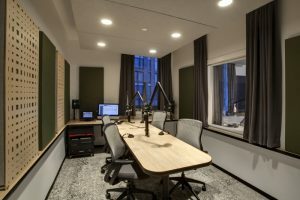 Throughout the program, students will take advantage of two Stony Brook classroom and recording locations: the newly renovated David Rakoff Studio on the Southampton campus, and the Center for Creative Writing and Film in Manhattan. Universal Music Group (UMG) and Wondery have announced an agreement to develop premium original podcasts drawing upon the breadth and depth of UMG’s renowned musical catalog as well as its iconic roster of artists and labels. Podcasts produced under the agreement will be available globally on any platform Wondery makes its content available. Wondery, with credits that include Dirty John, Dr. Death and Gladiator: Aaron Hernandez and Football, Inc., is the fastest company to join Podtrac’s Top 10 New Podcasts, holding both the #1 and #2 spots in 2018. The podcasts will also become an incubator for UMG’s growing slate of critically acclaimed film and television projects, as well as a meaningful platform to reach audiences with content from short and long-form programming from the company’s Polygram Entertainment and its numerous record labels worldwide. UMG has been developing and producing podcasts since 2012. TMZ reported that podcast company Cadence13 and Chris Hardwick, of the ID10T website, are having a legal battle involving money. It appears that TMZ has both sides of the situation. According to TMZ, Cadence13 has filed a lawsuit against Chris Hardwick. Cadence13 claims that Chris Hardwick bowed out of a deal to produce a weekly podcast and failed to pay back the rest of his $1 million cash advance. It appears that Chris Hardwick signed a two-year deal in 2018 to create four podcasts per month. Cadence13 claims that Chris Hardwick stopped making new episodes of the podcast in June of 2018. The timing coincides with a Medium post written by Chloe Dykstra in which she reveals the emotional and sexual abuse she experienced from someone she used to date. She didn’t name the person in her Medium article, but described the person as someone who was 20 years her senior and who went from being a “podcaster to a powerhouse CEO of his own company.” That description could fit Chris Hardwick. Cadence13 claims that it paid Chris Hardwick $1 million in advances, and says that he has not paid back the full amount after stopping his ID10T podcast. It appears that Cadence13 has recouped about $394K in ad revenue, and that they are suing Chris Hardwick for the remaining $606K. A lawyer for Chris Hardwick contacted TMZ. The lawyer claims that Cadence13 owes Chris Hardwick $3 million and filing their lawsuit is their attempt to try and avoid fulfilling their obligations to pay him. The lawyer also claims that Chris Hardwick has delivered over 30 podcast episodes since October of 2018 and hasn’t been paid a dime. Castbox announced the launch of Community, a new feature that enables both creators and listeners to participate in the burgeoning podcast ecosystem. Available now on both iOS and Android versions of the app, Community gives users a new way to connect and engage with other listeners who share their love of podcasts. Community is a dedicated social feed within the Castbox app that lets podcasters post about their favorite shows and episodes, join trending conversations, and discover popular new content. The feature provides users with an interactive way to stay current on community activity for a richer, more immersive podcasting experience. Community is the latest offering from Castbox designed to create a more inclusive podcast ecosystem and expand the app’s functionality beyond that of a podcast player focused solely on content discovery and delivery. As the podcast industry expands and more listeners tune in to the medium, Castbox is putting community engagement at the center of the user experience to make podcasting more social. Listeners can use the Community feature to share their opinions and spark new conversations by posting about a particular show, episode, topic, or hashtag. The Community tab provides a live feed of the top trending user interactions on the app, including comments, listens, subscriptions, and more. 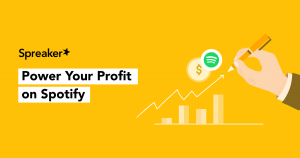 Podcast creators can also use Community to stay connected with fans, take a pulse of their community, and get feedback from their most devoted listeners. 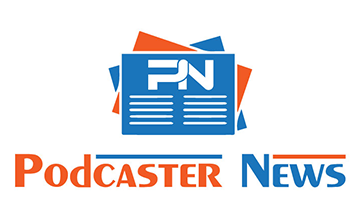 As bigger audio platforms expand into the podcasting space, Community builds on the company’s mission to provide dedicated podcasters and power users with the best podcasting experience available. Castbox’s growing lineup of podcast-specific features includes deep in-audio search that helps users find the most relevant shows, a blockchain-based infrastructure that gives creators more ownership over their content, and native paywall solutions that create new opportunities for publishers to grow and monetize their followers. Apple Podcasts is seeking a Data Scientist to join a team passionate about Data Science & Analytics for Apple Media Products (AMP) covering Apple Podcasts. This role will involve working with Internet-scale data across numerous product and customer touch points, undertaking in-depth quantitative analysis and building models to drive product and strategy. Dive deep into large-scale data to uncover trends and identify key insights that will propel the Apple Podcasts product and content strategy. Craft how to best monitor, measure and understand product and business performance. Collaborate with business, marketing, finance and executive teams to generate regular presentations for C-level. Partner with other Apple organizations on data gathering, data governance, evangelizing key performance indicators and democratizing data. Your creative problem solving will be utilized daily. 3+ years of experience in a Data Scientist or Data Analyst role, preferably for a digital publishing or digital subscription business. Domain knowledge in the podcasting space is a plus. Strong proficiency with SQL-based languages. Experience with large scale analytics technologies such as Hadoop and Spark preferred. Familiarity with Python or R and data visualization tools such as Tableau for full-stack data analysis, insight synthesis and presentation. Experience using relevant statistical packages to build predictive/ML models and knowledge of A/B test experimentation design. Visit the Apple website where the Data Scientist job is listed for more information about qualifications, education and experience required, and to submit a resume.